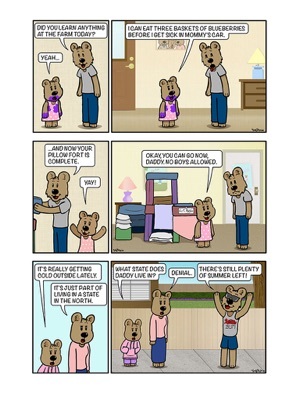 Written about children from a parent's perspective, Maddie Bear's Comic Collection Volume 1 contains the very first comics of the web series. 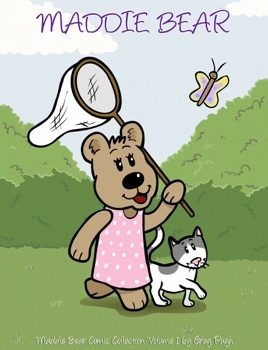 Follow the adventures of Maddie Bear, her parents and her friends Olivia and Hannah, as they discover the world around them. 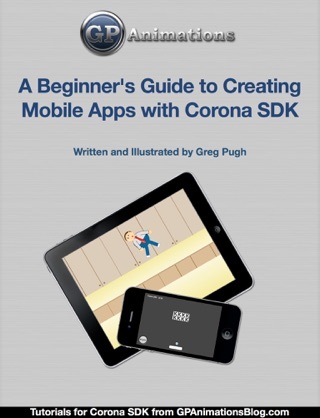 Includes author's commentary and behind the scenes drawings, video, and sketches for comic strip fans. Being a parent, I love this comic strip. 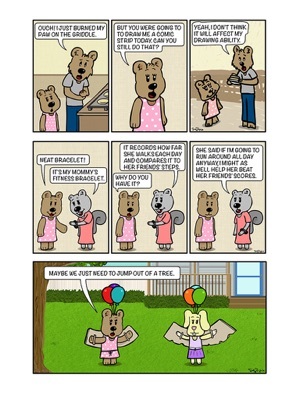 I found out about Maddie Bear on Twitter and have been following the series ever since. Keep drawing new comics!